Last Friday, a project I’ve been involved with was officially launched: filmothek.bundesarchiv.de. 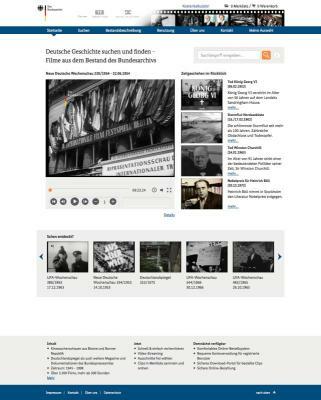 It’s a Web site showing contemporary history videos from the German Federal Archives (Bundesarchiv), distributed by their partner Transit Film, implemented by our company Digital Collections (based on our Digital Asset Management system DC-X), with Web design by our partner Pier2Port. At the moment, there’s about 2,300 videos in the archives. In the back end, there’s a standard DC-X installation that holds the video files (in MP4 and WebM format) and the video metadata. Most of the customization is in the importers and metadata schema. Our customers can edit metadata in the back end, which is then replicated to a front end server. There’s lots more features to come, and even more videos will be made available – so make sure to come back to the site again in a few months!